“Unless you are burnt, broken or bleeding, take yourself out of my medical bay.” Kaitlyn didn’t bother to turn as the footsteps paused in her doorway. “No follow up threat?” Dev’s voice surprised her. The footsteps hadn’t matched her captain’s usual swagger and the air circulation carried scent up and away too quickly for it to reach her. Considering the multitude of aromas her enhanced sense of smell forced upon her when someone appeared in her doorway, usually shot and bleeding or in some stage of infection, the powerful circulation could be a blessing. They’d seen her do it. Course, it hadn’t been a crew member and that particular fugitive had tried to kill her. The bounty on the man required him alive so she’d still had to stitch him up afterward. She raised an eyebrow and watched his reflection in the window. And she needed this space, needed this window. The view into infinity eased the pent up frustration of the beast within. Lately, she needed peace however she could find it. The panther aspect of her lurked restless and irritable beneath her skin. Ready to break loose. Planting her hands on the ledge, she hopped off for a drop of several meters, landing on her feet with ease. The distance was farther than a human would willingly jump too. She hadn’t had to worry about that for almost four years now. Straightening, she looked her captain up and down before locking her gaze with his. The predator aspect rose in a wave as the force of her personality crashed into his. Confidence, charisma, command presence, people defined it in their own way. It wasn’t something limited by words or descriptions. It was something a person experienced, a gut reaction, in any interaction with anyone else. Her captain had won her respect and her trust years ago, but she still tended to…no, enjoyed butting heads with him on occasion. Fighting Kat themed mug, black panther beanie baby, PJ pen and spiral bound Hunting Kat notebook. Hai! In addition to being an author, I enjoy gaming and watching anime while knitting. I’m quite random at times and in general, a multi-tasker. 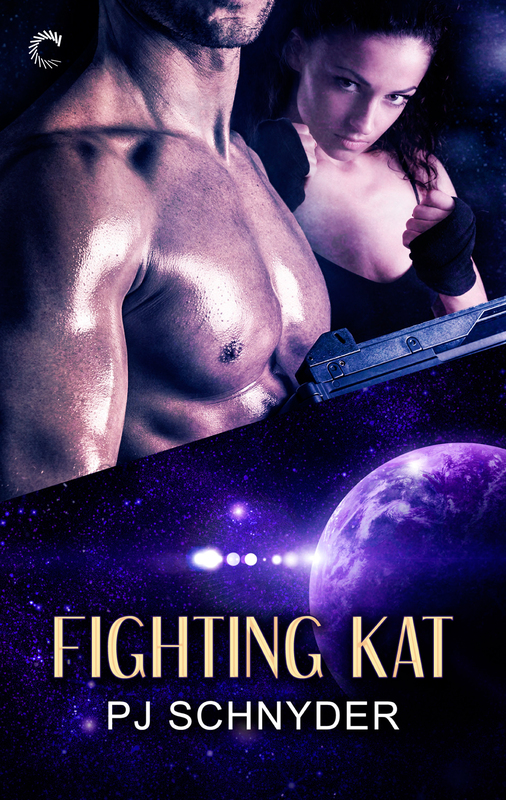 The Triton Experiment series continues with my new release, Fighting Kat, a sci-fi romance novel. The first in the series is titled Hunting Kat. Taking that into consideration, I thought hard about what Kaitlyn and Rygard would be doing in this book. As they will be gladiators, Fighting Kat resonated best in my mind. Inspirations for elements in Fighting Kat came from several sources. The biggest driver for me, though, was that I felt I needed to write more of Kaitlyn and Rygard’s evolving relationship. Their story isn’t over. 6) What made you decide to become a writer? Well, you know how they warn you not to quit your day job? I don’t plan to. But I wanted to share my stories with readers who might enjoy them. 7) What genre do you generally write? 8) What character out of your most recent work do you admire the most and why? 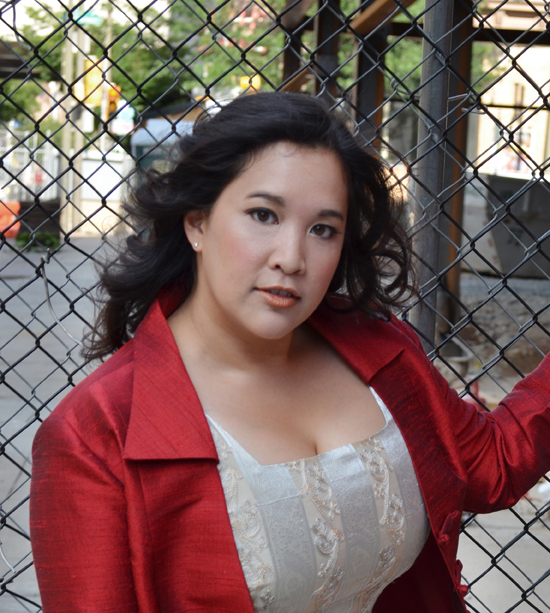 Of my recent work, I admire Sorcha of Sing for the Dead the most. She’s a contradiction by nature, half peaceful Baen Sidhe and half berserker mortal. Somehow she survived centuries to become a skilled warrior, still retaining a caring heart, when the opposing aspect of her nature should have driven her mad. 9) What other projects are you currently working on? The third book in the London Undead series, Survive to Dawn, is targeted for release in April and I’m preparing for that. I’m also finishing edits on a steampunk role playing game called The Ministry Initiative RPG, set in the world of the Ministry of Peculiar Occurrences. I’ve also been invited to write my second short story for the steampunk anthology, Tales from the Archives Volume 3 in the same world. 10) When you begin a new MS, does it start with an idea, concept, or both? 11) What is your least favorite part about getting published? It’s a challenge, putting your work out there and baring yourself to the opinions of others. It’s a vulnerable position to be in and yet, it is so very worth it. 12) Was the road to publication a long one for you? 13) Do you use a pen name? If so, why? Yes. I prefer to keep my day job career distinctly separate from my writing career. 14) Where do you see yourself in five years? Still writing, building my author career, as I continue my day job career. I’m lucky enough to have two careers I love. 15) What is the best advice you can give to a new author? Surround yourself with nifty people you can encourage and exchange ideas with, who will in turn inspire and support you. Some time ago, I wrote a blog post on being Surrounded by Nifty-ness (http://pjschnyder.com/blog/2012/09/28/surrounded-by-nifty-ness/) and it still holds true. 16) Where can the readers find more information about you? Born and raised in the North East, PJ Schnyder spent her childhood pretending to study for the SATs by reading every fantasy and sci-fi novel she could borrow from the local and school libraries. She scored fairly high in the verbal portion. PJ recently received the Golden Leaf award for Bite Me, Book 1 of the London Undead Series, and is one of the contributing authors to the Parsec-award winning Tales from the Archives Vol. 2 of The Ministry of Peculiar Occurrences. 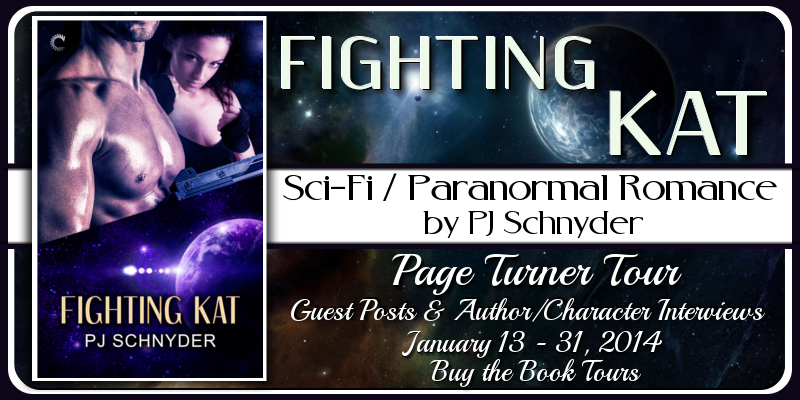 In the past, she has also won honors from the Fantasy, Futuristic and Paranormal RWA PRISM awards for her novella, Hunting Kat, Book 1 of the Triton Experiment Series.